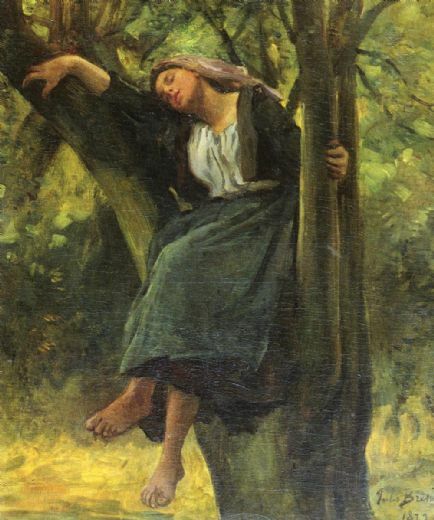 I know It’s Tuesday, but better late than never, right! 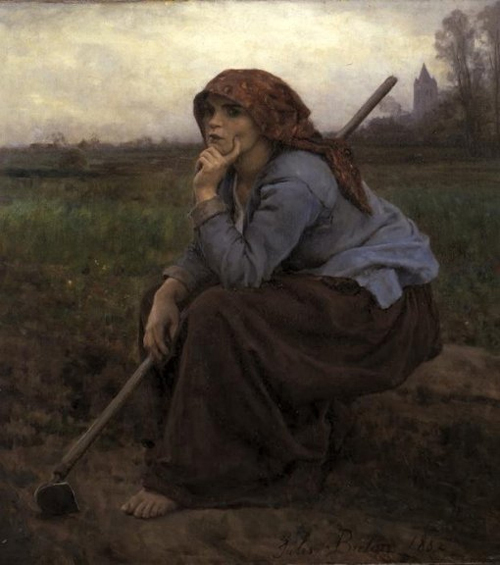 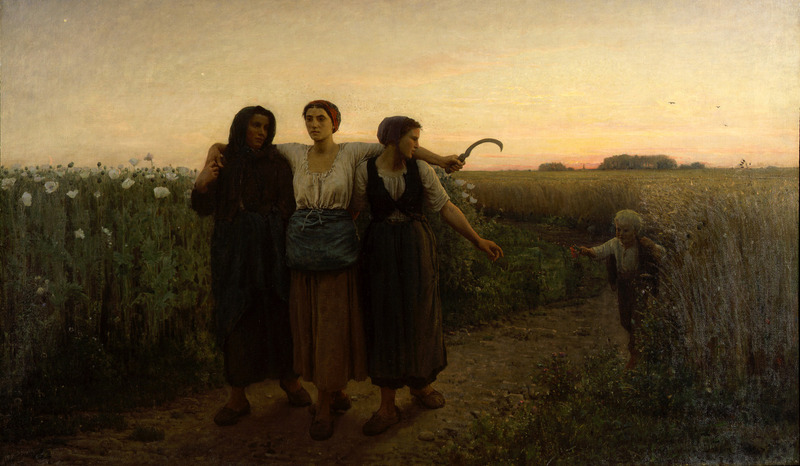 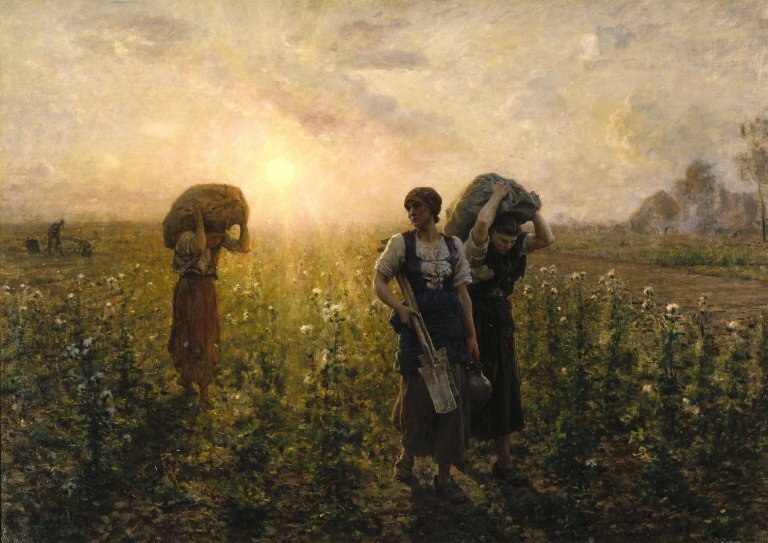 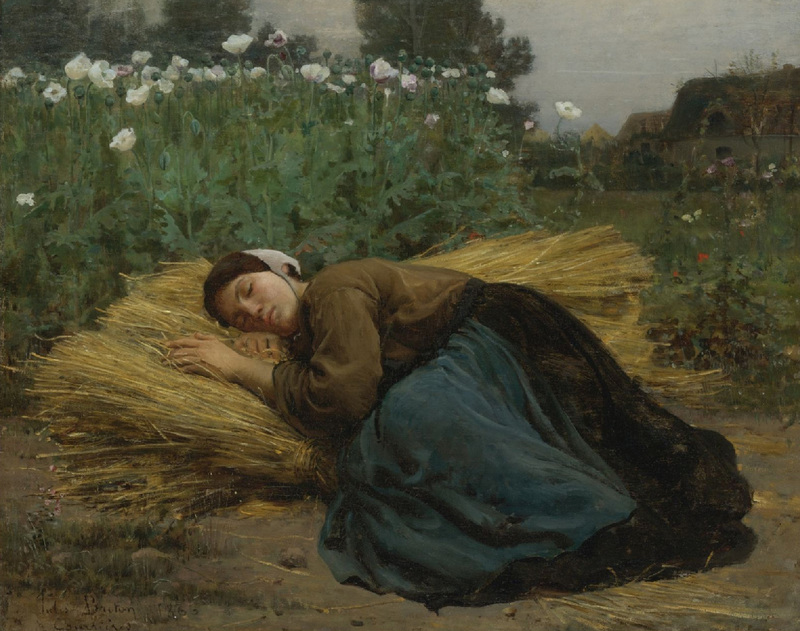 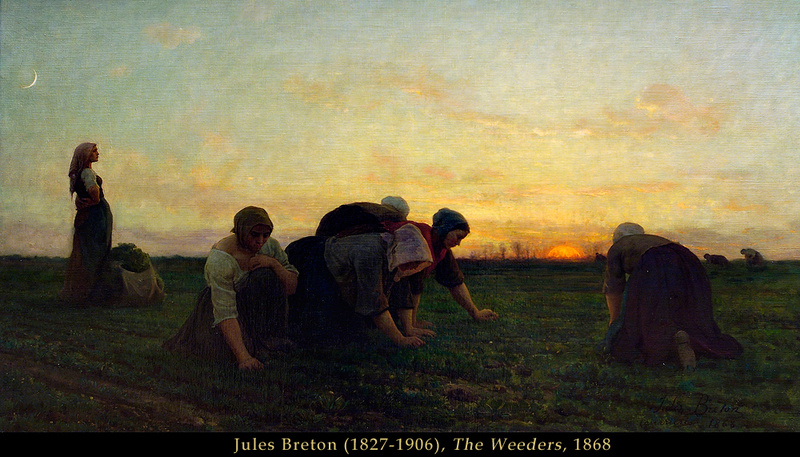 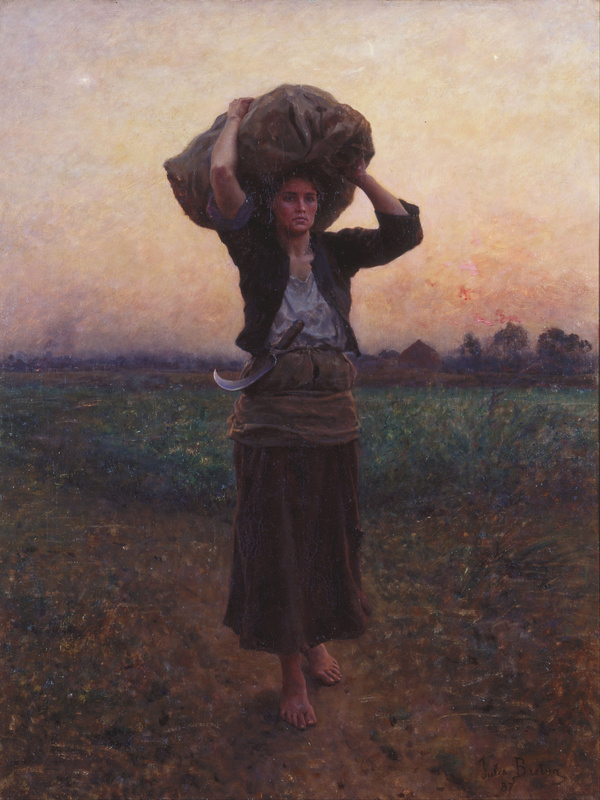 I present to you Jules Breton, a painter that has infatuated me with his paintings ever since I first laid my eyes on The Last Gleanings (1895) at the Huntington Library in Pasadena (the first picture, down below). 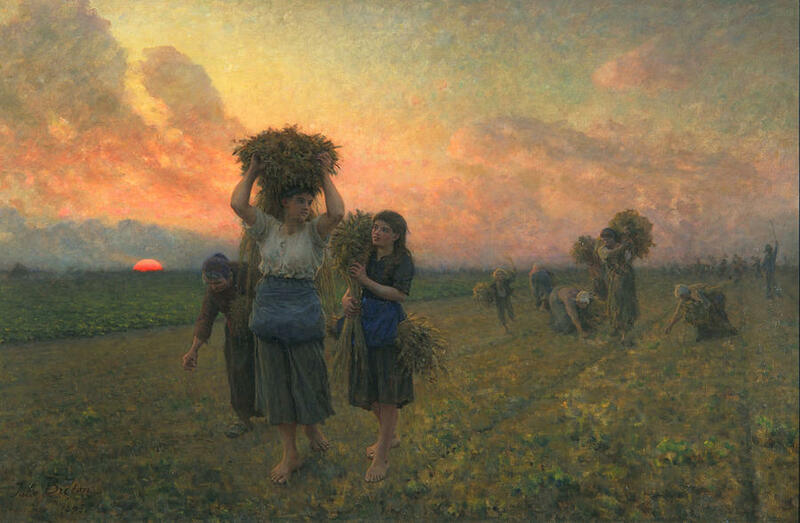 His paintings have an aura of serenity, sensuality, and warmth even though they captured the mundane, un-luxurious life of the French country side. 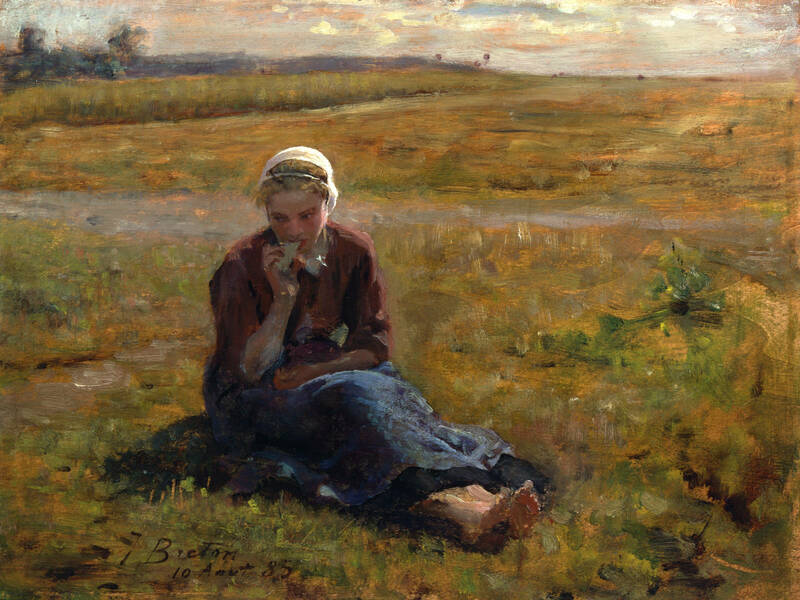 I gathered a collection of his precious paintings for you. 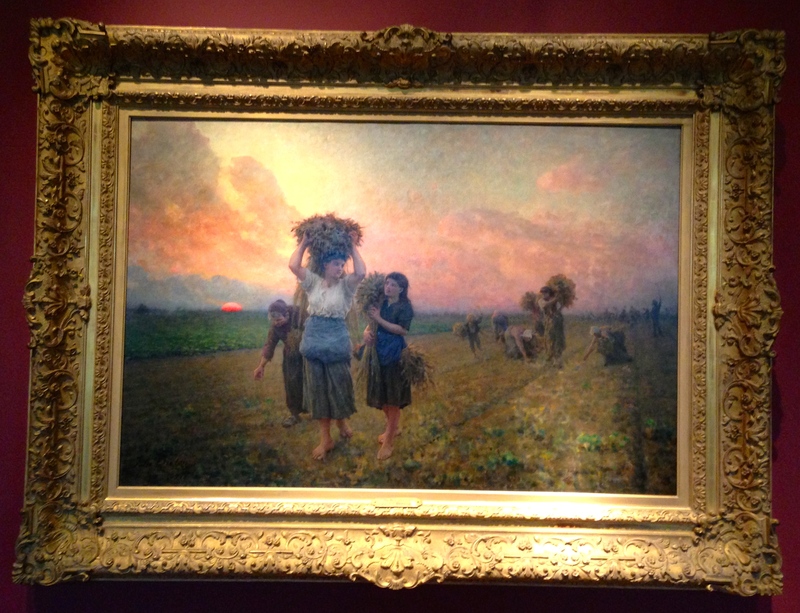 Nonetheless, do research and check out the museums around you as the digitalized images couldn’t fastidiciously capture the brilliance harmony of the colors. 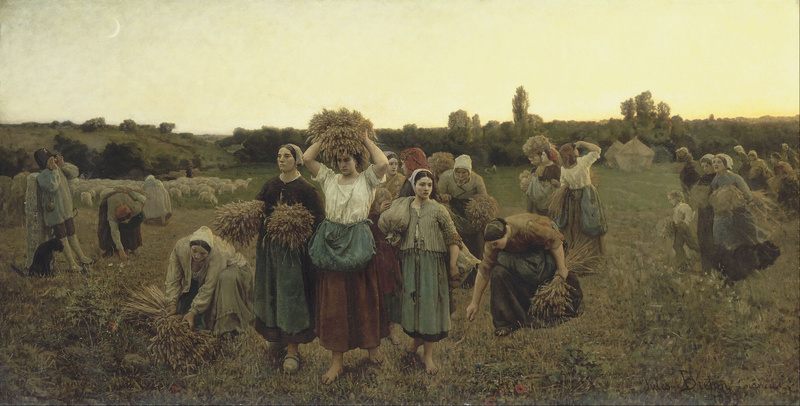 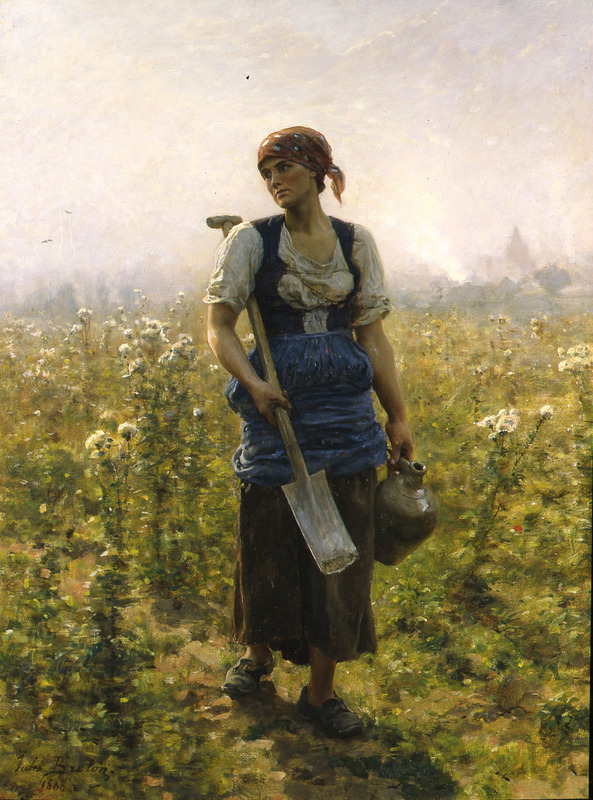 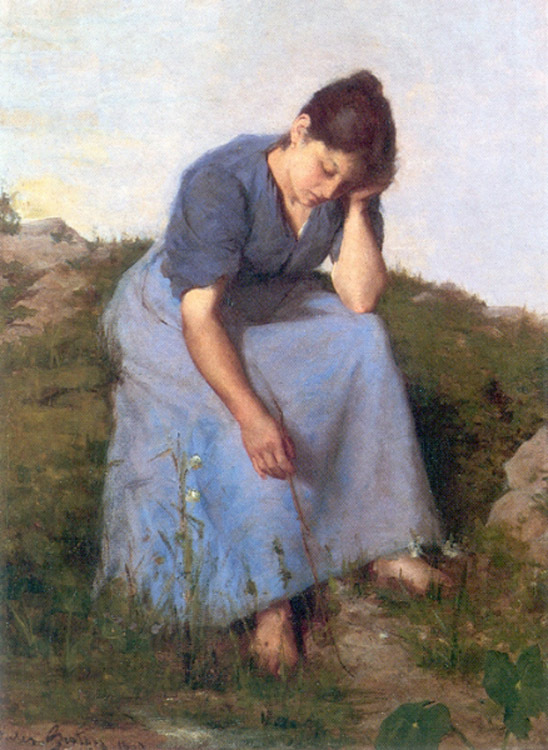 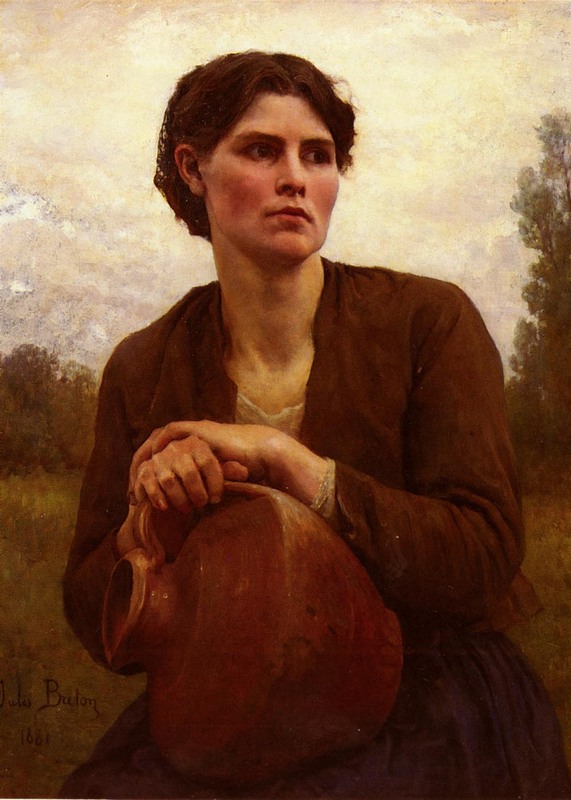 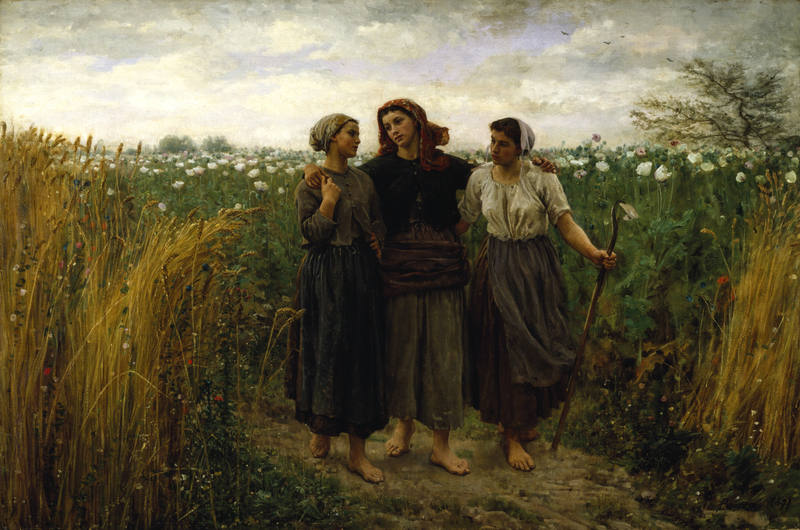 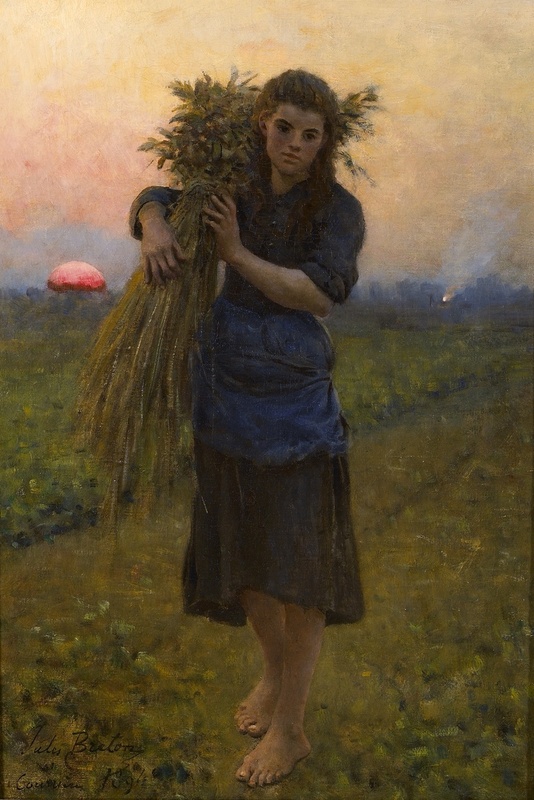 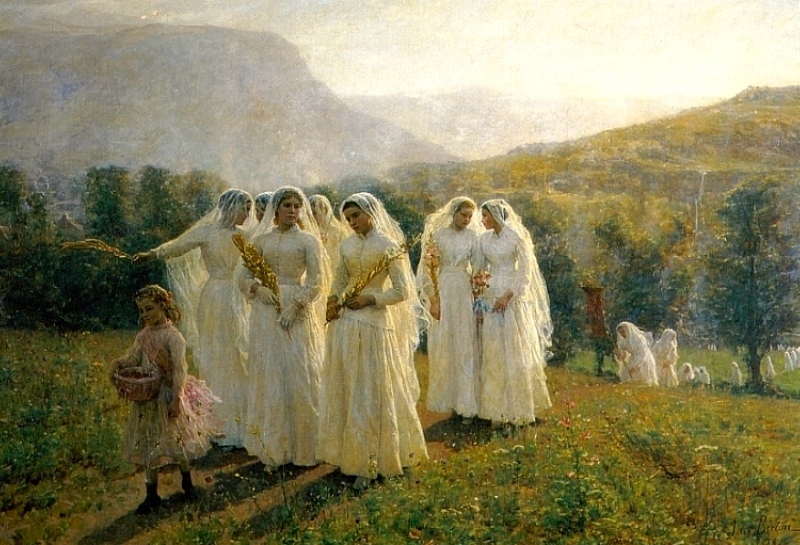 b. Willa Cather’s novel The Song of the Lark takes its name from Breton’s painting.